I love Sophie Kinsella's books since I was a teen.I've never missed buying them.Even now when I have a lot of ebooks on the ipad,I'll still buy the paperback version of her books.But I've got to say..her latest book was..I don't know..a little lacklustre? I also loathe the fact that the ending left us hanging and that there'd be a continuation..seriously? The reason why I've been buying the Shopaholic series by Sophie for years because Becky's shopping addiction was fun to read.In this book however..Becky was just horrid and selfish.She was such a fame-whore that it was sad :( If you read the review online..it's not pretty!It feels like a different person was writing this book. In this book,Becky is now living in Los Angeles because Luke is handling the PR for Sage Seymour,a famous Hollywood actress.Becky is determine to become her personal stylist.But somehow she was offered to become the personal stylist for Sage's enemy instead.A lot of other characters are mentioned in this book..Luke,Minnie,Suze,Tarquin,Danny,Alicia and Becky's parents. 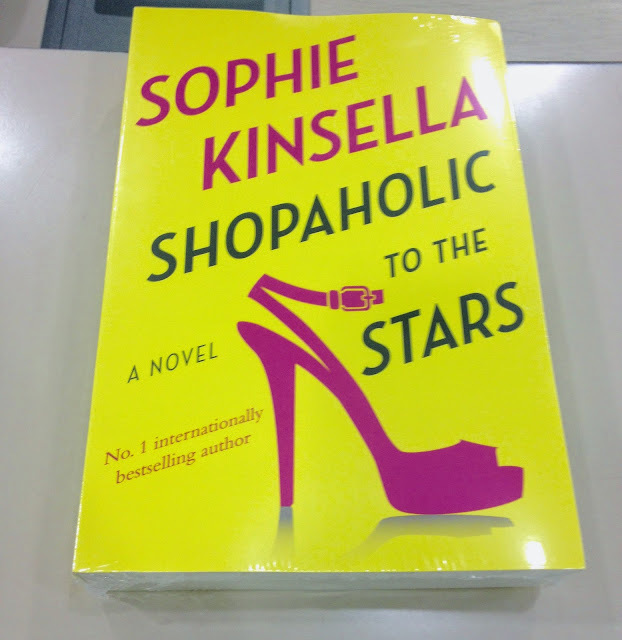 I honestly feel that Sophie Kinsella tried too hard to make this book as a great read because the last one(Mini Shopaholic) was four years ago..but it didn't become what it intended to be.There's a celebrity plot twist and also an element of mystery involving Becky's dad..this book was just very bizarre to me.It was all over the place.I love Becky's character throughout the Shopaholic series but not in this book!She did redeemed herself in the end though..but still..it was a bit nauseating how fame crazy she was! Four years was a long time waiting and honestly I felt disappointed.If you guys are planning to buy this book..don't.Just download the free epub version.Sorry,not sorry.Sophie Kinsella,the next book better be good! I was super excited to find out that she has a new book coming out. Nasib baik tak beli :p download je la hehe thanks for the review! !